Mini Farm is truly a perfect place in Hua Hin where you can find a wide variety of fresh temperate vegetables and fruits, and all types of ingredients for western-style cooking. It is a paradise for chefs and cooking lovers. 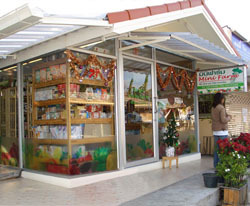 You can purchase many items that you cannot find in the local supermarkets. Also available are organic and healthy food products.